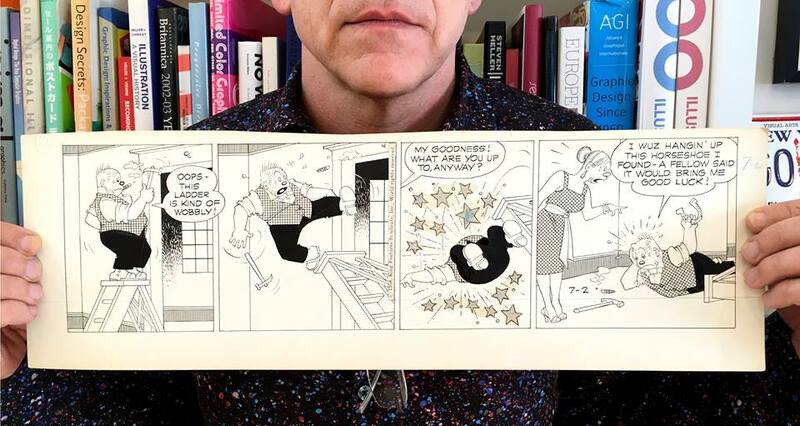 I just acquired daily comic strip art "Bringing Up Father" by Vernon Greene from 7.2.58. The only reason why I liked this comic when I was young, was for his Art Deco quality. Not to mention Mr. Jiggs with his three piece suit, top hat & spats looked like a total alien creature in communist Yugoslavia. Great work to add to my memory collection.